Flaming Bess "Waechter des Lichts"
Flaming Bess started their carreer in 1969 in the German city of Düsseldorf. 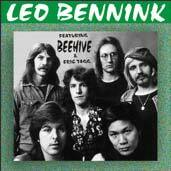 In 1977, the band recorded their first record from legendary demo tapes which already showcased all trademarks of the later Flaming Bess style: carefully arranged, instrumental rock music, fused with sound collages and a fantastic story. 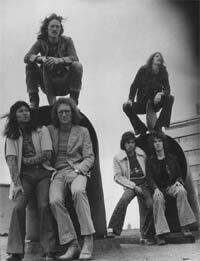 In 1981, their second LP "Verlorene Welt" was a huge success with more than 30.000 sold copies. In 1983 the band released the record Verschlüsselt, awkwardly enough under the pseudonym Key, which had been a condition of their record company. In 1984 the band went back to its old name and worked with their new female vocalist Ute Freudenberg. The 90s were a time of reversion and preparation. From 1990 to 1996, the band worked on new material. A collection of new songs was then released in 1996 on the third official Flaming Bess record, the more world-music and ethno inspired album Fata Morgana. Today, after almost three years to compose and produce the new album, the band promise you a true adventure for your ears, more than 78 minutes of new Flaming Bess music and a fresh, fantastic story with "Waechter des Lichts". 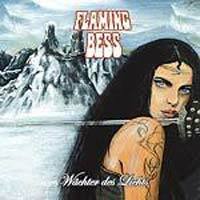 If you like the classic songs of Yes, Asia, Genesis and Pink Floyd, Flaming Bess is your new step in the discovering of "progressive rock". Marco Taggiasco's "This moment" now available at Target Records & AOR Heaven! During the last couple of years there were a few extraordinary Westcoast releases by European artists, most of them based in Scandinavia, like Peter Friestedt and Corin & Edman. But there is also something happening in the south of the continent regarding Westcoast music. The multi talented Italian Marco Taggiasco just released his second album “This Moment” following his remarkable debut CD “Thousand Things” from 2004. The new album is a winner in every respect, the production and the arrangements are among the finest you are likely to hear. 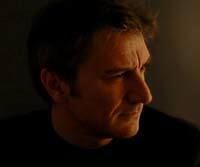 This doesn’t come as a surprise since Marco is working as a composer, arranger and musical director for more than 20 years now. Knowing this you can easily draw parallels to David Foster who holds similar functions and who had a great impact on the American Westcoast scene. For the greater part of the lead vocals Marco could again rely on the well tried and versatile voice of Andrea Sanchini who already recorded with Marco in the past. Beside shining on the cover version of the Orleans classic “You’ve Been Runnin’”, Andrea also added his talent as a song writer for several songs. Westcoast icon David Pack took over the microphone on the title track “This Moment” and his performance is indeed a moment to remember and to reminisce about his glorious past with Ambrosia. Anne Marie Bush from Denmark, whose song writing partners in the past included Bill Champlin and Michael Thompson, is singing on her co-composition with Marco called “April In My Heart”. An extraordinary highlight is certainly the participation of Eric Tagg, whose voice can be heard again for the first time in ten years. The man who reached cult status in Westcoast circles through his “Dreamwalkin’”- album and the Lee Ritenour discs “RIT” and “RIT 2”, also contributes as a writer with two amazing, previously unreleased tracks called “Another Waste Of Time” and “Radio Silence”. Everyone who is looking for an awesome album in the classic Westcoast style of Pages, Robbie Dupree, Maxus, Al Jarreau and the aforementioned artists, that was recorded by high profile singers and musicians doesn’t need to look any further than “This Moment”. Do yourself a favour and discover the music of Marco Taggiasco. WWL presents Michael McDonald LIVE in Paris. 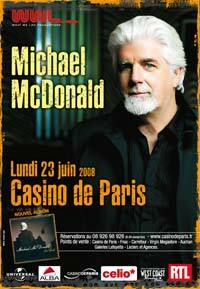 WWL is pleased to announce the return of Michael McDonald in Paris at Casino de Paris on June 23, 2008.Don't miss this event! 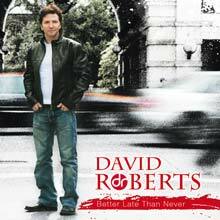 Regarding the great aorclub blog by Takeito, we are pleased to learn that David Roberts is back with his 2nd solo album in early summer of 2008 titled "Better Late than never"! As you fully know, David Roberts' 1982 masterpiece album "All Dressed Up" was reissued in July 2006 on CD by VIVID SOUND, Japan and many AOR / West Coast fans are expecting his brand-new album since then. Now in the spring of 2008, the wait is over! David Roberts' brand-new studio recording album will be released early summer of 2008, hopefully on 25 June by VIVID SOUND, Japan. 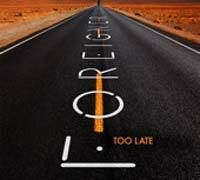 Multi-platinum rockers Foreigner released "Too Late" on June 17th, their first single in more than a decade produced by Marti Frederiksen and band founder Mick Jones. The song will be included on the Rhino 2-CD compilation No End In Sight: The Very Best Of Foreigner to be released July 15. "The song definitely has our signature sound, it's immediately recognizable and shows off the great talent in this band." "It's hard to go wrong with a great voice like Kelly Hansen's and Jason Bonham on drums." Radio programmers have commented, "This song is quintessential, timeless Foreigner." "This song is one that will stand the test of time just like all their other hits." says Mick Jones. Little Feat's new album "Join the band"
Forty years into an iconic career that has produced dozens of wonderful songs and a host of admiring musical peers, Little Feat has united the two with a new release, "JOIN THE BAND," that features some of their classic tunes -- "Fat Man in the Bathtub," "Dixie Chicken," "Sailing Shoes," "Oh, Atlanta" -- re-recorded with creative friends like Dave Matthews and Jimmy Buffett among many others (see above), as well as new material like Woody Guthrie's "This Land Is Your Land." A distinctive and eclectic blend of rock, funk, folk, jazz, country, rockabilly, and New Orleans swamp boogie, Little Feat's musical style was forged when Lowell George was fired from Frank Zappa's Mothers of Invention and told to form his own band. Bill Payne, Richie Hayward and Roy Estrada joined with him to create Little Feat, a band that would continue recording, touring and transcending musical boundaries long after the tragic and premature death of its founder. 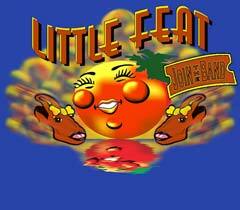 "LITTLE FEAT: JOIN THE BAND" is in stores August 26th on 429 Records. "JOIN THE BAND" was an idea born in 2004 just after original Little Feat keyboardist Billy Payne had played on Jimmy Buffett's chart topping album, "License to Chill." Jimmy suggested flying the band out to his Shrimp Boat Sound studios in Key West to put together the all star project that had been planned for years prior. With the production team of Payne and Buffett associates Mac McAnally and Alan Schulman in place, the project began to take shape. Just as it was impossible to easily categorize the sound of Little Feat, "JOIN THE BAND" is a true collaboration amongst stellar talents -- the current members of Little Feat, including Billy Payne ( keyboards), Richie Hayward (drums), Paul Barrere (guitar), Sam Clayton (Percussion), Kenny Gradney (bass), Fred Tackett (guitar) and Shaun Murphy (vocals), would often provide backup on songs sending tracks to artists giving them full reign over their contribution. Some songs such as Woody Guthrie's "This Land Is Your Land" feature Little Feat members on vocals with guest artists Mike Gordon from Phish laying down the bass. The resulting confluence of Feat, Phish, Guthrie, blues folk and gospel creates a musical gem unique to the spirit of "JOIN THE BAND." "Dixie Chicken" (Vince Gill, Paul Barrere), "Something in the Water" (Bob Seger), "See You Later Alligator" (Paul Barrere; Shaun Murphy), "Fat Man in the Bathtub" (Dave Matthews), "Champion of the World" (Paul Barrere, Jimmy Buffett), "The Weight" (Paul Barrere), "Don't You Just Know It" (Paul Barrere, Sam Clayton, Shaun Murphy), "Time Loves a Hero" (Jimmy Buffett, Bill Payne), "Willin'" (Ronnie Dunn, Kicks Brooks), "This Land Is Your Land" (Paul Barrere, Shaun Murphy), "Oh Atlanta" (Chris Robinson, Bill Payne), "Spanish Moon"
Interview with Robbie Dupree at BlueDesert! Our friends at bluedesert did an interview with Robbie Dupree about his recent release "Time and tide". A new Jimi Jamison album on the way! 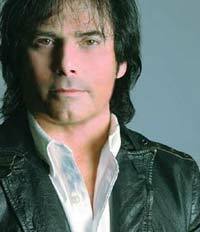 In the fall of 2008, Frontiers Records will be releasing the long-anticipated Jimi Jamison album. Taking over the lead vocal slot for Survivor in 1984, Jimi sang some of that band's biggest hits: "I Can't Hold Back", "The Search Is Over", "High On You", the Platinum smash from the film Rocky IV, "Burning Heart" and as a solo artist, the main TV theme composition, "I'm Always Here", which he co-wrote and performed TV show worldwide, "Baywatch". Following his departure from Survivor in 2006, Jimi continued his career playing successful live shows and reuniting with the other ex Survivor songwriter and co-producer Jim Peterik, Jimi has been recording the album his fans have long been hungry for. "It was a special moment when Jim joined me onstage at a benefit show in 2007 to sing a duet on The Search Is Over. The audience seemed to get as emotional as we did not having been on stage together since 1988", says Jimi. After that day, the two Jim's started talking about a new Jamison album that would pick up where Survivor left off. Jim Peterik says: "When I started writing with Jimi's great voice in mind, the ideas and melodies just started to flow. No one can interpret one of my songs like Jaimo". The new album is going to be a masterpiece of Melodic Rock: heartfelt lyrics, soaring melodies and the hooks that have always been Jim Peterik's trademark. It was then a natural step for Jamison and Peterik to speak with Frontiers Records President Serafino Perugino, who immediately did not loose the chance to be part of this truly exciting project. The first fruit of this hard work, "Behind The Music" (Jim Peterik described it as "Rebel Son meets I Can't Hold Back"), was included in the Frontiers Records compilation "Rock the Bones Vol. 6". Jamison says that Peterik always knew "How to bring the best out in me as a vocalist. I call him coach!". From the ballad "Lost" to the rich harmony vocals of "Make Me A Believer" (featuring Kelly Keagy of Night Ranger on drums) to the hard-rocking social statement "Can't Look Away", Jimi has hit the vocal stride that made him one of this generation's most influential singers. Also included here is Jim and Jimi 's tribute to 80's rock, "When Rock Was King". It name checks some of rock's biggest influences and features Jimi along with Don Barnes of .38 Special, Joe Lynn Turner of Rainbow, Toby Hitchcock of Pride Of Lions, Lisa McClowry, Jim Peterik, the other ex Survivor vocalist Dave Bickler and more. Later this year, Jimi will mount a worldwide tour in support of this album. From his early days with Target, then on to Cobra and finding his wings with Survivor, Jimi Jamison is ready to capture his next frontier. 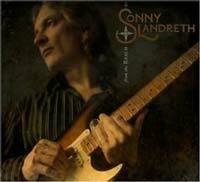 Sonny Landreth "From the Reach"
Singer, songwriter and Louisiana slide guitar phenom Sonny Landreth’s first studio album in five years unites his band with a who’s who of musical guests for a set of all-original roots rock tinged with the blues and New Orleans soul. Featured guitarists and vocalists include Eric Clapton, Mark Knopfler, Vince Gill, Eric Johnson, Robben Ford, Dr. John and Jimmy Buffett.